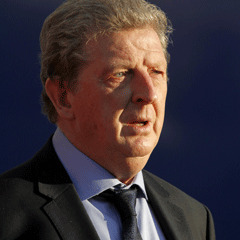 London - England manager Roy Hodgson has insisted he will be able to field a competitive side in their Euro 2012 opener against France despite an injury crisis and a fresh storm over Rio Ferdinand's exclusion. Hodgson has seen three key players ruled out of the squad in the past week, with Gary Cahill becoming the latest to be sidelined on Sunday following the withdrawals of Frank Lampard and Gareth Barry. Cahill's injury has also refocused attention on Hodgson's controversial decision to omit Ferdinand from his original squad, with Liverpool rookie Martin Kelly called up to replace Cahill instead of the Manchester United star. Kelly's inclusion on Sunday prompted a furious response from Ferdinand's agent, who accused Hodgson and the FA of a lack of respect towards the player. It means Hodgson will be forced on the defensive once again this week when England head to their Polish base in Krakow following his insistence that Ferdinand's exclusion was unrelated to the presence of John Terry in the squad. Terry faces criminal charges of racially abusing Ferdinand's younger brother Anton during a Premier League game last year, accusations he denies. The reopening of the Terry-Ferdinand saga could not have come at a worse time for Hodgson, who must now ensure the controversy does not have a corrosive effect on squad morale as they travel to Poland on Wednesday. England have been patchy in recording consecutive 1-0 friendly wins over Norway and Belgium, while Group D favourites France head into next Monday's opener in Donetsk on the back of a 21-game unbeaten run. Nevertheless Hodgson is adamant he has seen enough progress in England's performances to suggest they can cause France problems. "Whether we can beat France I don't know because when you have gone 21 games unbeaten you obviously have something," he said. "They have a lot of games behind them with a team they believe in. "We can't suggest we are in that position, not least because of our key figures, Wayne Rooney can't play in the first two games, and others have left us through injury. "I don't think we will go into the game as favourites but I am happier that we are moving towards a team that can not only give them a game but, if we have a bit of luck on our side, perhaps win." Against Belgium on Saturday, England conceded the lion's share of possession before sinking their rivals with an opportunist strike from Danny Welbeck. Although Arsenal teenager Alex Oxlade-Chamberlain started the game, many observers expect Hodgson will favour Stewart Downing and James Milner against France. Hodgson however has bristled at suggestions that England are seeking to ape the sort of defensive gameplan which brought Chelsea success in the Champions League. "If you are suggesting I have gone in with some major principle about being hard to beat, that is not the case at all," said Hodgson. "We talk to the players about both aspects of the game. "Of course, we do have good defenders and have plenty of experience in that area. That is what is shining through at the moment."